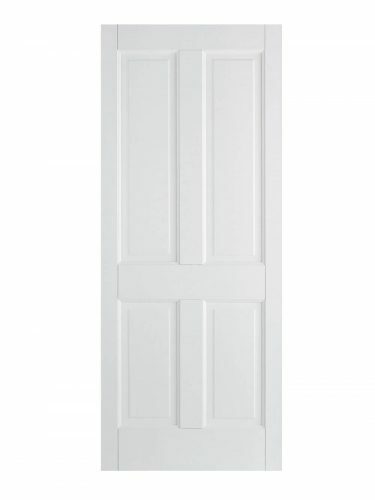 White Canterbury 4P FD30 Fire Door. A modern Victorian styled door. 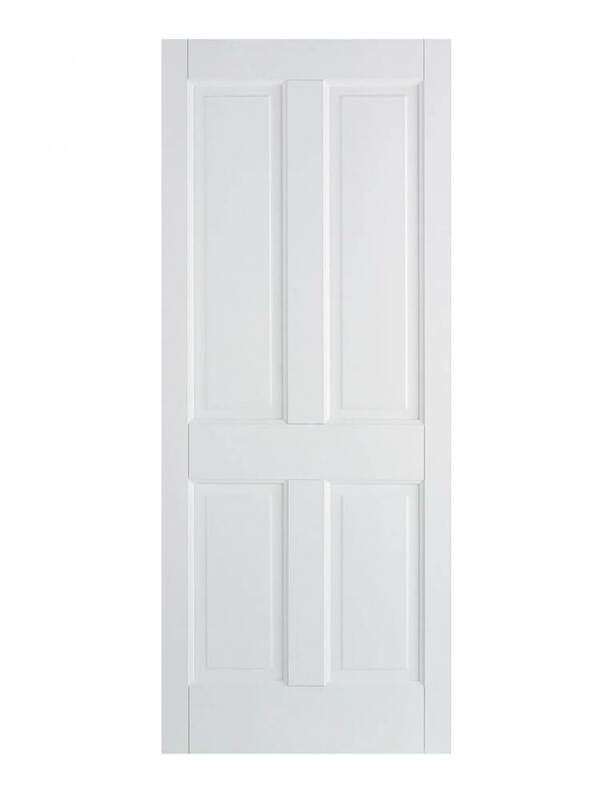 White Canterbury 4P FD30 Fire Door. Victorian style, the Canterbury door design features four panels, recessed and then delicately raised in tune with subtle mouldings.. This fire door version (FD30) is provided pre-primed finished and ready to hang. It features four recessed panels, two elongated at the top and two smaller ones at the base. Certified for fire safety of 30 minutes for areas requiring a greater level of protection. Furthermore this fire door is up to modern Building Regulations Standards for all interiors. It is also an FSC certified door. Your new door comes with a manufacturer’s 10-year warranty. This door is also available in a standard 35mm door, and two versions with glazed top lights. FD30 Fire Door for all locations; dining room, living room, kitchen, bedrooms and bathrooms. Again, the classic, simple design offers a rich style to both period and contemporary designer interiors. With a distinctive Victorian look. So the edge down into each panel is shaped. Engineered doors are very stable and are designed to limit warping, splitting and small changes in size with the seasons. Pre-primed it comes with a layer of protection already installed in preparation for your choice of topcoats. A prefinished, engineered door which is ready to hang or for your choice of final decoration . It has an engineered, hardwood, solid core (weight up to 49kg). Also with two layers of 10 mm lippings all round. It comes with a manufacturer’s 10-year warranty. This pre-finished model is also available as a standard (35mm) door and has two glazed counterparts. You can make adjustments on all sides up to 3mm on Fire Doors. So making it a perfect fit for new and existing door frames. You should not remove more than 3mm as this invalidates the fire safety certification on the door. We can supply hinges, door handles, frames and intumescent strips separately for the installation of your White Canterbury 4P FD30 Fire Door. We recommend a minimum of four hinges for this door. Seek specialist advice on which areas require fire doors. Also, your architect or local building control officer will offer advice.